Google's advice for young and first-time web users is to secure their account, phone and data by taking some simple steps. Google's second edition of its public safety initiative -- #SecurityCheckKiya -- is now underway and the company has outlined some simple steps that young and first-time web users can take to safeguard their account on the internet. These steps include securing one's account, phone and data. With an objective to create awareness around Internet Safety, and reiterate its efforts to protect netizens, Google India today announced the second edition of its public safety initiative -- #SecurityCheckKiya. Targeted at young and first time web users, Google is asking people to take simple, yet important actions that can protect them from bad actors of the web, and help keep their data secure online. Today, India is the second largest Internet user base in the world. With improved connectivity and affordable smartphones and data, Indians are taking to the web in a big way! And while the Internet has made life easier for everyone, and offers so many opportunities to explore, create and collaborate across all age groups, users online or those coming online for the first time, need to be aware of the possible negative experiences that they may incur on the web. #SecurityCheckKiya is aimed at reminding users about the simple actions they can take to further strengthen their online security. Is Google creating its very own Internet for children? 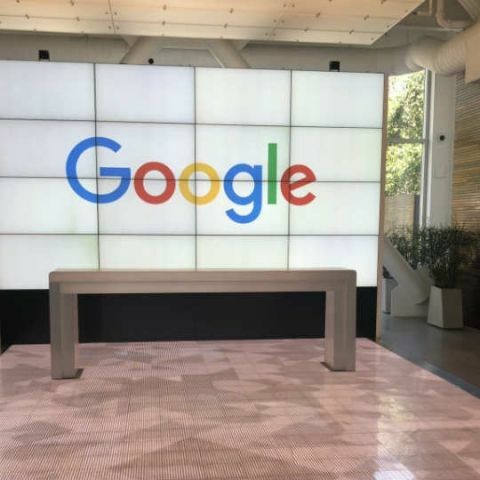 Speaking about Google’s internet safety efforts in India, Sunita Mohanty, Director, Trust & Safety, Google India said, “From auto-updates to spam blockers, encryption to continuous monitoring, we build products with strong security protections at their core. Across all our Google products, we continuously and automatically detect and protect users and their data from a wide range of threats. Over the years we’ve created many tools and are always improving them so users are in control. But as technology continues to change the way we live, work, and play, users want to know how best to ensure their safety on the web. Starting 5th February 2019, i.e. Safer Internet Day, Google will encourage users to take the Security Checkup of their account on its homepage www.google.co.in; in English and 7 Indian languages including Hindi, Kannada, Bengali, Gujarati, Tamil, Malayalam, and Telugu. Just like in the physical world where people go for a regular health check-up, Google is asking internet users to do a health checkup of their Google Account. The Security Check-up on the account gives personalized and actionable security recommendations to users, that further strengthens the security of their Google Account. It not only helps users stay safer while using Google services, it also includes tips to keep users safer across the web. From reminders to adding a screen lock on their mobile phone, to reviewing third-party access for Google Account data. These simple steps can also help users identify what sites and apps they may have signed into using their Google Account. Or simply visit g.co/securitycheckup to take the Security Checkup. For an Android user, the safest place to download apps is from the Google Play store. Built into every device with Google Play, Google Play Protect protects Android devices 24/7. Scanning over 50 billion apps every single day, it identifies potentially harmful apps, keeping them off users device or removing them. While Google Play Protect is the ideal security blanket for mobile devices, there are steps users can take to help ensure their device is safe. Keep screens locked with a unique password [pattern/ pin]. Add Google account on devices, to be able to find it, if lost or stolen. Download Find My Device App -- The Find My Device app from Google helps you to easily locate a lost Android device and keeps your device and information secure. Visit android.com/find to locate, ring, lock and erase your Android devices—phones, tablets, and even watches. With advanced security and privacy features Google works all the time to keep information safe and private. For example, Google notifies users when they’ve granted access to third-party sites or apps, but it’s really important for users to understand the information that they share with these apps or sites. A quick check on a mobile device brings up exactly what access -- including Calendar, Camera, Contacts, Location, Microphone, etc. — the users have shared with third party apps. So, it's important to skim through app permissions and choose the settings that are right. For more tips on how to stay safe online visit Google's Safety Center.